Please note that due to our fluctuating Canadian dollar and rising costs there will be consistent price changes on many of our products. There has now been a 5% steel surcharge added to many of our products. Our online pricing may not reflect this, please contact us for updated pricing. McCORMICK - Drive the Future! 2018 - Introducing McCormick and KIOTI Tractors! With a new year comes a new look look, new products and a new future, for us and for you. The Future is NOW with McCormick quality, innovation, performance and reliability. AND with KIOTI - Run ahead of the pack! KIOTI - Run Ahead of the Pack! VERMEER Forage Equipment - Equipped to Do More! Vermeer inventions have helped farmers get their work done quickly and efficiently. We are an authorized dealer for Vermeer forage equipment, a continued leader in the agricultural industry. 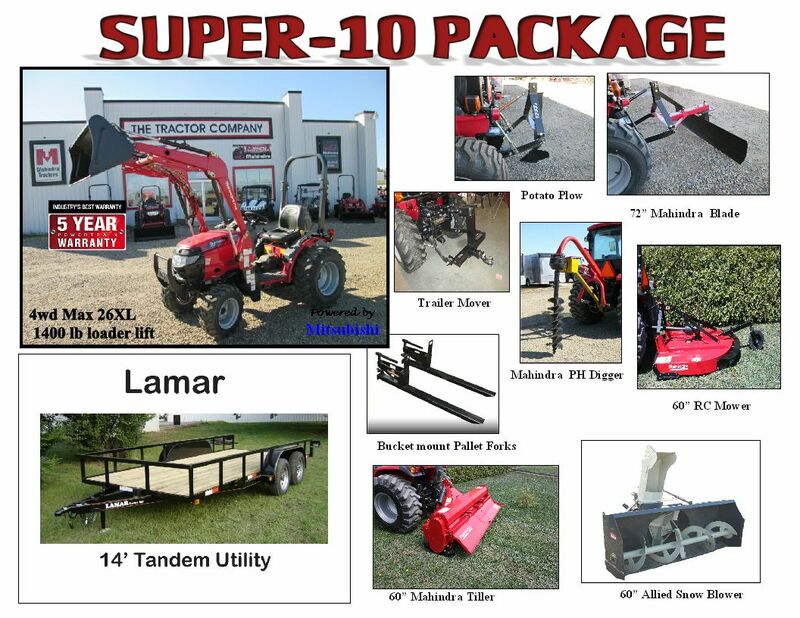 Lamar & Rainbow trailers and more. Occasionally some emails can get lost in cyber-space and do not get to us. If you do not get a reply within 2 business days Please call us at 306-239-2262. Also some email preferences will not show images and will not allow our Price Request form to show properly. Select "show content" or adjust your email settings accordingly. We are proud to be an accredited business member of and in good standing with the Better Business Bureau. click here to view our BBB reliability report.